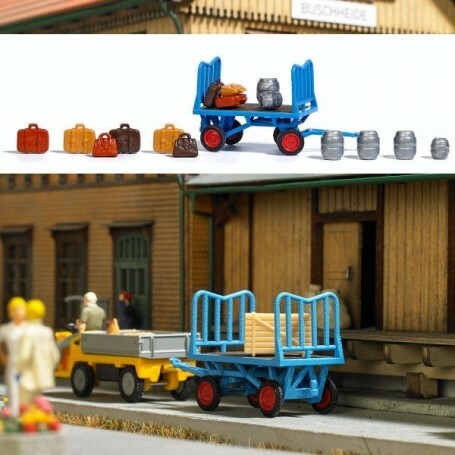 Typical platform cart with a genuine wooden loading bed and matching accessories: suitcases, carrying bags, barrels. Several platform carts can be connected to form a »cart train«, and for a locomotive, an electric cart from the »Mehlhose« Collection, distributed by Busch, can be used. Model is pre-assembled.